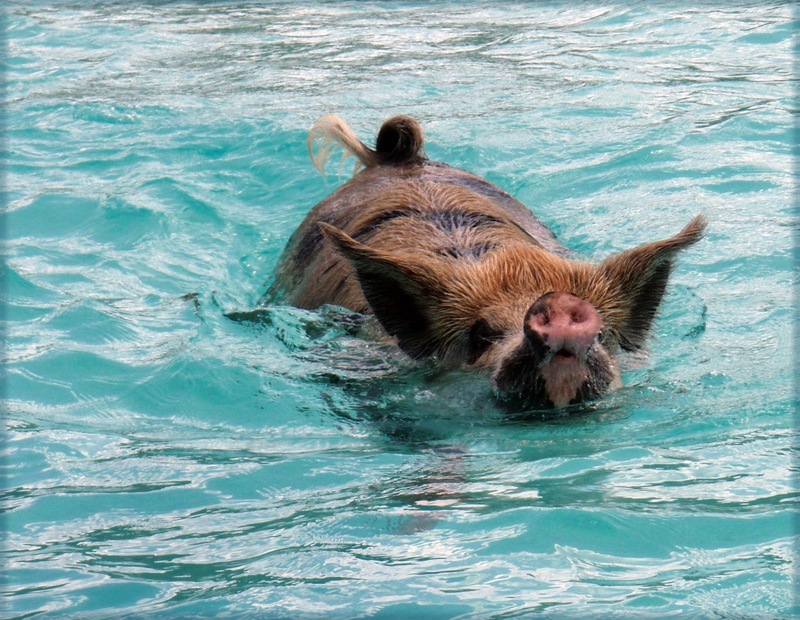 There is a beach near our anchorage where pigs swim out when they see your dinghy pull up because people feed them. They like bread the best but will eat fruits and some vegetables. Mark threw some food to them but Conrad didn't want to get near them after hearing about their razor sharp teeth. 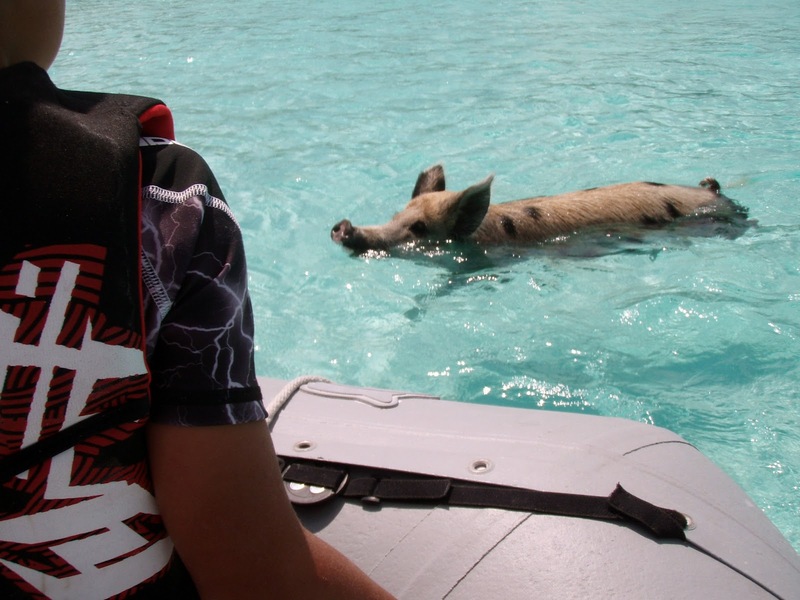 If you're not careful they will climb up on your boat. I think that the nose of the pigs look like a small elephant's trunk. What do you think? Maybe if you pull on it it will become a real trunk.